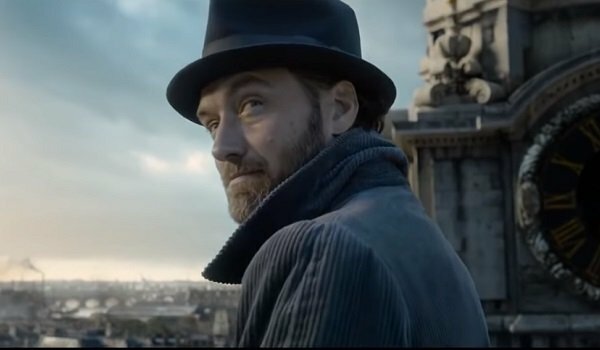 Fantastic Beasts: The Crimes of Grindelwald dropped a game changer of an ending that understandably has some Harry Potter fans curious about the history of the Dumbledore family. When considering the end of this latest Fantastic Beasts entry and what other twists could be lurking around the corner in future films, these facts are important to consider when debating whether or not Credence’s revealed origin is for real, or just an elaborate trick by Grindelwald to bend the boy’s power to his will. With that in mind, let’s go over the big things you should know about the Dumbledore family. Dumbledore’s youngest sister Ariana experienced trauma in life similar to that of Credence, which, according to Pottermore, made it difficult for her to control her magical abilities. The term “Obscurial” didn’t exist in the Harry Potter universe prior to Fantastic Beasts, however, so the title is still an unofficial part of her backstory. Despite that, a lot of Ariana’s struggles with magic appear to mimic that of Credence, which could mean they share a connection. For example, is becoming an Obscurial only brought on by trauma or are some wizarding families more pre-disposed to it than others? Credence having a similar condition to Ariana could confirm his link to the Dumbledore bloodline or even a deeper connection to Ariana. Perhaps she conceived a child before her untimely death? It’s possible, although it would make the line where Grindelwald referred to Dumbledore as Credence’s brother very confusing. As mentioned, Ariana experienced a childhood trauma that may have turned her into an Obscurial. That trauma came at the result of the assault of a gang of young Muggle boys, who later suffered at the hands of Dumbledore’s father Percival. Percival was arrested, convicted by the Ministry of Magic for his assault and sent to Azkaban, where he remained until his death. That blank spot in the Dumbledore family timeline could hold the key to how Credence came into the picture. For example, the outburst could’ve been Ariana in the process of childbirth, the result of which ended up killing Kendra. Again though, for Credence to be Albus’ brother, it’d have to be Kendra who gave birth. Percival was in Azkaban for a long time, so perhaps his mother took another secret lover when Albus was away? It feels unlikely, but possible. Albus Dumbledore was set to travel the world upon learning of his mother’s death, but switched plans and moved back to Godric’s Hollow to be Ariana’s primary caregiver. Dumbledore admitted later in life it was a responsibility he deeply resented at the time, although it did lead to his becoming good friends with Gellert Grindelwald. The two were thick as thieves and shared a lot of ideals and secrets around this time. This is important, as it would mean Grindelwald would likely be privy to a dark secret such as Albus having a secret brother. Remember, there’s a reason Albus is seeking out Credence as well, so the boy does have some connection to him, even if it isn’t the family tie Grindelwald told the boy. Whatever is true in this case, the answer behind Credence’s origin might lie in the time the two spent together when Dumbledore was in Godric’s Hollow. This may seem like a stupid fact, but it could also point to the legitimacy of Grindelwald’s claim about Credence’s true origin. The name “Aurelius Dumbledore” fits in quite nicely with Albus, Aberforth and Ariana. Apparently Percival and Kendra had a real thing for names that start with the letter “A”! Of course, Grindelwald wouldn’t be a master of manipulation and great public speaker if he wasn’t capable of crafting a convincing story. Plus, if the Fantastic Beasts 2 team revealed his name was “Barney Dumbledore” or something like that, the fact that it didn’t jive with the Dumbledore family naming trend wouldn’t go unnoticed. As some may remember, Ariana ended up dying as a result of a fight between Albus, Aberforth, and Grindelwald. Aberforth was disgusted by Albus and Grindelwald’s vision for wizarding supremacy over Muggles and called out his brother for a selfish vision that would result in him neglecting his care for Ariana. Albus backed down, but the moment threw Grindelwald into a rage and caused him to cast the forbidden Cruciatus Curse on Aberforth. The moment resulted in a three-way duel between the men, which came to an end when Ariana was killed by a rogue spell. It’s unknown to Harry Potter fans who cast the curse, but Aberforth blamed Albus for the death of their sister. Albus’ participation in the duel would’ve conflicted with the blood pact Fantastic Beasts 2 revealed the two formed, which could mean it was made after Ariana’s death or Albus wasn’t dueling against Grindelwald.